In the second volume of The World’s Worst Records I wrote a chapter on singing animals, mentioning the first of today’s brace of badness. 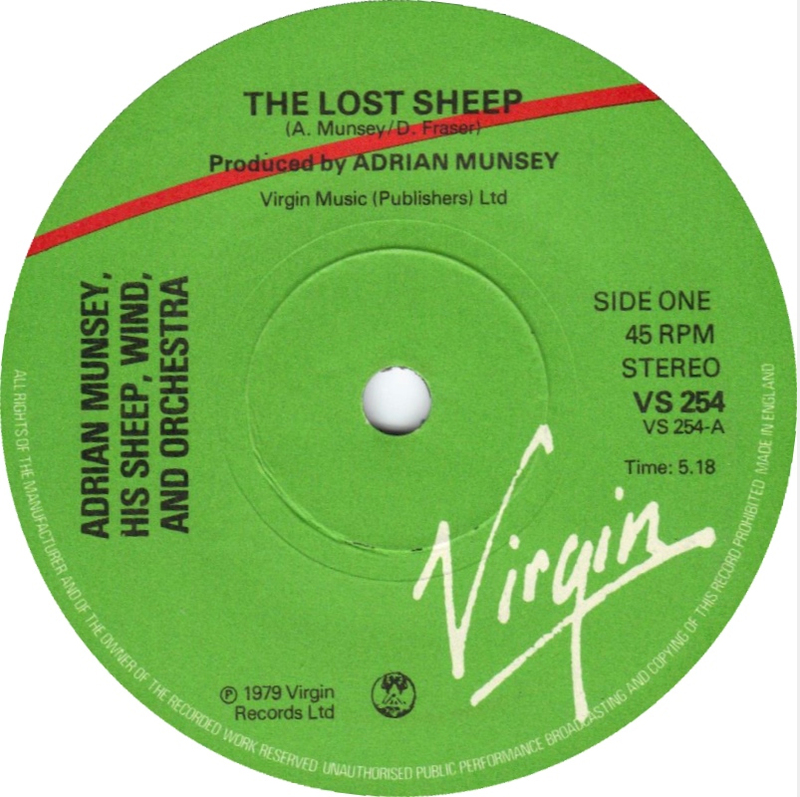 However I’ve only just become aware of the second disc, so here – especially for ewe – is classical composer Adrian Munsey with his two wonderfully woolly 45s. 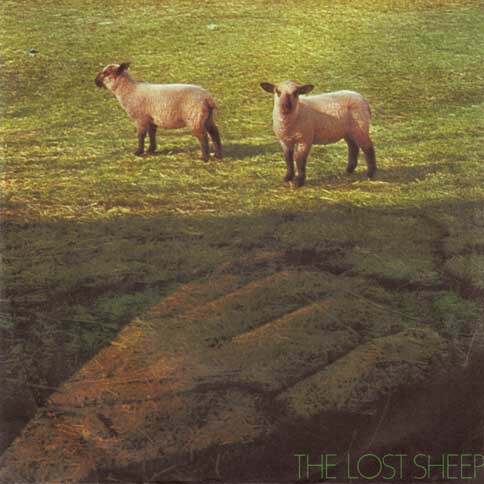 Issued by Virgin Records in 1979, The Lost Sheep is a mediocre slice of sub-classical dullness which features a lamb bleating whilst a small orchestra – replete with bassist and drummer - play the most maudlin music you’re ever likely to hear. 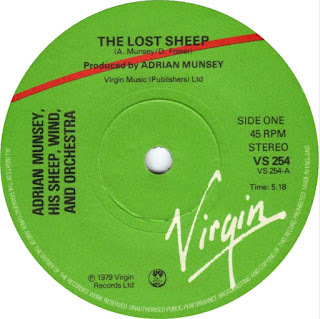 Credited to Adrian Munsey, his Sheep, Wind, and Orchestra, the composer even performed this peculiar piece ‘live’ on television, accompanied by a lamb, it’s mother and an eight-piece ensemble. As the lamb was struck with stage fright, Munsey himself stood at the microphone, straight-faced and cradled the poor animal while he performed the recalcitrant beasts’ part. Virgin must have sensed a hit, for they allowed Munsey to follow this up with C’est Sheep , a dreadful marriage of classical, disco and early techno which failed to sell despite also being issued as a disco-friendly 12”. C'est Sheep, a reader of this blog informs me, was produced by Ron and Russell Mael of Sparks, and was later included on the Virgin compilation Methods of Dance. Three years later Virgin main man Richard Branson – as Jeff Mutton - sat in the producer’s chair for the one and only time to oversee the 1982 Christmas single from The Singing Sheep - Baa Baa Black Sheep backed with Flock Around the Clock. Munsey has enjoyed a long career as a film and TV producer, documentary film-maker, author and composer. A history scholar at King’s College, Cambridge and a graduate of the Royal College of Art, Munsey’s also promoted Elton John’s first paid gig. In 1982 he founded Odyssey Video and has since released and distributed over 500 films on video or DVD. Music has been a lifelong passion for Munsey, with Classic FM describing his compositions as “unashamedly melodic and heart-warmingly nostalgic, capturing the emotions stirred by visual imagery”. He has released several albums of vocal and instrumental compositions, including Four Suites and Incognito (both 2005), A Wider Sky (2006), Requiem (2008), Songs (2010) and Full Circle (2013). His latest album, Agnus Dei, was issued in March 2015. He has also enjoyed commercial and critical success with his Music Infinity record label, releasing albums by the bestselling Classical Brit-winning boyband Blake, soprano Lesley Garrett (her album A North Country Lass reached No. 1 in the classical charts) and showbiz legend Neil Sedaka. 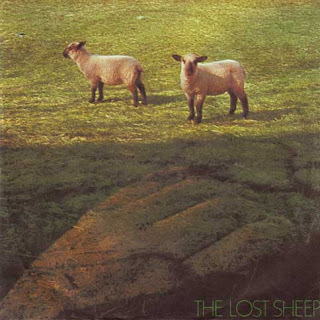 So here are both sides of both of Adrian Munsey’s sheep-related singles. Once again Divshare is up the creek. I'm using The Box for these tracks but you may have issues downloading as I have limited free bandwidth. I will replace these links with Divshare ones once they have sorted out their problems. Although I have been editing this blog for almost eight years now, I think that this maybe the first time I have featured an instrumental as the plug track. Sure I’ve included instrumental B-sides in the past, but unless my memory fails me (and, at my age, that is starting to become a regular occurrence) I don’t believe that I have ever presented you with an entirely instrumental selection. Well, today I aim to address that. And how. 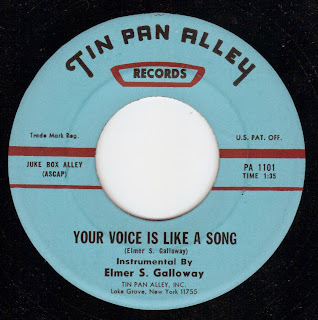 This spectacularly inept disc – Your Voice Is Like A Song backed with Take A Cup Of Kindness - was issued in 1971 by song-poem supremos Tin Pan Alley, but it’s not a song poem. Oh no: the writer of the two tunes, one Elmer S Galloway, also performs them – or should I say attempts to - with all the élan of a three year old picking up his or her first toy guitar. This is a vanity pressing. A few song-poem outfits also allowed erstwhile composers to perform their own material, and would knock out a handful of discs to said tunesmith for a fee. Our Elmer clearly thought that as he had composed these two tunes, who could be better than him to perform them? Unfortunately the answer to that is ‘anyone’; one of more of Tin Pan Alley’s regular roster of catastrophically awful musicians would have done a better job that poor old Elmer manages. It’s clear, judging by the mistakes and the chronically poor timing, that Elmer had but one chance to commit his precious - albeit preposterous - tunes to vinyl: what a shame then that this was the best performance he could muster. I can’t tell you much about the man, apart from the fact that he was born in Milwaukee, Wisconsin in August 1921 and that he died in December 2001 aged 80, just four days before Christmas. 5’ 6” high, Elmer served as a private during WWII. He was a prolific songwriter, and in March 1976 alone he copyrighted 18 tunes, including Space Age Holiday, You Were Great and Play For Me A Melody. 1976 was a good and productive year for Elmer: in the previous year he had only copyrighted four songs, and three of those were co-writes. He was still composing in the early 1980s (his song Can't Love You Now, Love You Later was issued on cassette in 1981). Happily, my copy of the disc comes with a lead sheet for Your Voice Is Like A Song; my guess is that if Elmer had been willing to spend more money someone like Billy Grey or Madelyn Buzzard would have recorded the vocal version of the song. Perhaps they did: maybe there’s a second version of this, still waiting to be discovered that included a tortuous vocal performance to match Elmer’s rotten words. I hope it exists, and that it was Madelyn Buzzard who had to suffer the ignominy of singing the line ‘singing like a songbird in the sullen air’. Wouldn’t that have been delicious? Today’s brace of badness comes from veteran British rock ‘n’ roller Jackie Lynton – who same of you may know through his association with Status Quo – still rocking and rolling today after more than 55 years in the business. Born John Bertram Lynton in Shepperton, Middlesex in 1940 Jackie first began singing in his church choir. However he was bitten by the rock ‘n’ roll bug early on – Elvis was a huge influence – and, after performing Blue Suede Shoes at a talent show he and his band (originally known the Plect-Tones, before changing their name to the Teenbeats) started to attract attention. In no time at all he was playing at the famous of rival agents: consequently, by the time he got around to establishing a residency at 2 I’s Coffee Bar in Soho: proprietor Tom Littlewood subsequently became Jackie’s first professional manager. Under Littlewood’s guidance Jackie graduated to the Larry Parnes package tour circuit where he worked alongside Billy Fury, Vince Taylor & the Playboys, Wee Willie Harris, Terry Dene, Lance Fortune, Screaming Lord Sutch & His Savages (Jackie tells a story of how he and Sutch almost jumped into the Serpentine for a publicity stunt...until they both realised that neither of them could swim), John Leyton, Freddie Starr & the Midnighters and others. Soon after Littlewood managed to score a recording deal with Pye’s new Piccadilly label. His first disc – a version of the Judy Garland showstopper Over The Rainbow - was an odd choice and it failed to chart, although it did pick up some decent reviews. Oddly, Lonnie Donegan also covered the song around the same time. Hailed by New Musical Express as ‘Most Promising Newcomer’, Jackie was widely tipped to make it big – but never quite did. The follow up, Wishful Thinking was a silly song with a ridiculous cha-cha-cha arrangement that – quite rightly – also failed to hit the charts. Then came a rocking version of the classic All Of Me, which marked the recording debut of blues guitarist Albert Lee. The single was well reviewed, but despite selling steadily it again missed the charts. Similarly I Believe also failed to find an audience. It was at this point that Jackie’s career took a bizarre twist: his next single – and the first of today’s tracks - was an insane version of the children’s song The Teddy Bears' Picnic. An utterly ridiculous record, it however went on to become Jackie’s best selling single and was the closest he came to scoring a bone fide chart hit. But, like all of the singles that preceded it, The Teddy Bears' Picnic also proved unsuccessful. One of the many Brit rockers to find an audience in Hamburg, he recorded 16 tracks in the city in just one day in 1964, although these were released credited to Boots Wellington & His Rubber Band, as he was still under contract to Pye/Piccadilly. 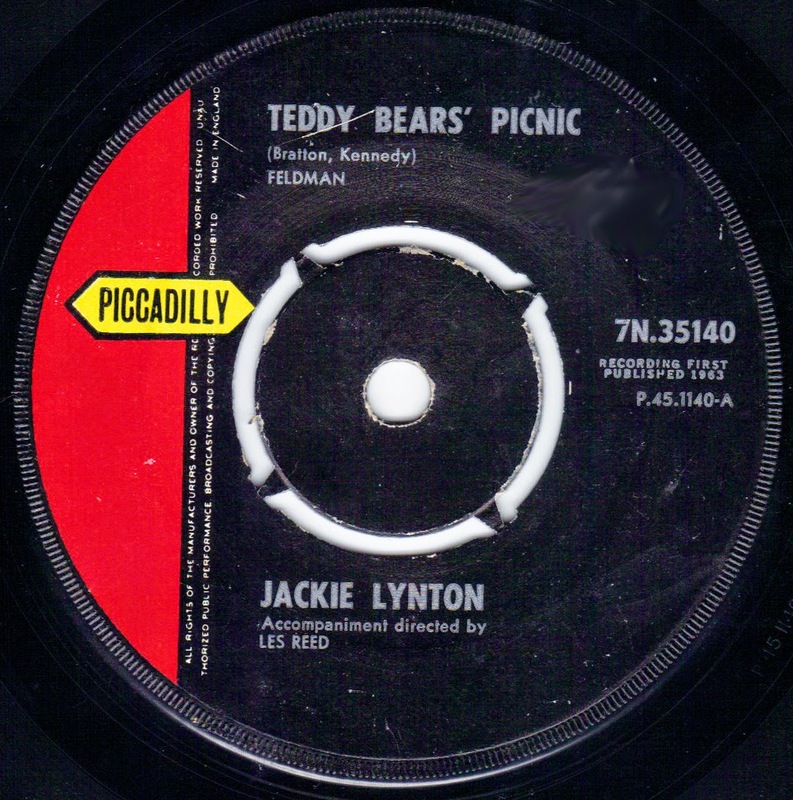 After a couple more releases, including decent covers of Chuck Berry and Beatles compositions, Jackie left Piccadilly records. The sessions he had performed on had been graced by some of the biggest names of the early 60s rock scene - Big Jim Sullivan, Jimmy Page (who played on Jackie’s version of the Lennon-McCartney song Little Child), Herbie Flowers, Clem Cattini and Albert Lee among them. There was even talk of him forming a band with the young Ritchie Blackmore as early as 1962: apparently the pair were to be mentored by legendary producer Kim Fowley. He issued one last single on Piccadilly, Laura, before he left the music scene for a while. However the stage still beckoned and, in 1965, he cut a number of independently-produced sides with Ray Horricks (who had produced Teddy Bears' Picnic) – two of which turned up on a Decca single (and one of which provides our next audio disaster) Three Blind Mice/Corrina Corrina – easily one of the most peculiar singles released by one of the vanguards of the first wave of British rock ‘n’ roll, a freakbeat nursery rhyme which never stood a chance of charting in the UK. An utterly loopy record, I can’t but wonder if David Byrne was channelling Jackie when he recorded his vocal for Talking Heads’ brilliant Blind. Jackie went on to cut three singles for Columbia, all produced by Mark Wirtz – famous for his compositions A Touch of Velvet, A Sting of Brass and Excerpt From a Teenage Opera – but again he failed to score that elusive hit which would have finally taken him into the big time. With little in the way of steady income from his recordings Jackie maintained a day job, working as a painter and decorator (he worked on John Lennon’s Weybridge mansion) whilst gigging at weekends and cutting the occasional disc. During the 70s he became a member of Savoy Brown (and finally charted – in the US at least – with the album Jack the Toad) and, in 1974, finally issued his first full-length solo album The Jackie Lynton Album, which included his live favourite The Hedgehog Song. He spent a few years dabbling in the pop ballad field: he recorded a few sides for European release (his band The People issued a 45 on the Spanish label Explosion), recorded the vocals for an Ennio Morricone song The Ballad of Hank McCain – which featured in the movie The Untouchables - for the Italian market and even made demos for smug repeat offender Mike ‘Ukip Calypso’ Read. Then, in 1978, Status Quo scored a massive hit with Again And Again, co-written by Jackie and Quo’s Rick Parfitt (Lynton had appeared as MC on the previous year’s Quo Live). The following year he assembled a host of old friends - including Parfitt, Clem Clemson, Chas and Dave and several members of Manfred Mann's Earth Band - to record his second solo album, No Axe To Grind. Since then he’s continued to gig and record (although he has now retired from painting and decorating), enjoying several successful appearances at the Reading Rock Festival and as a guest of The Quo. Jackie issued his most recent album - All's Fair in Love and Rock 'n Roll - in 2011. Today’s track, the A-side of a 1968 single released by the Birmingham-based band The Exception, is a blot on an otherwise exemplary and, in the history of the British folk-rock scene, important musical career. The Exception, probably best known amongst collectors for their debut single The Eagle Flies On Friday (an aggressive, blues-influenced cut about threatening bosses with baseball bats and which featured Robert Plant on tambourine) included Dave Pegg and Roger Hill, two men who went on to work with a number of noted British folk-rock musicians and who also became members of Fairport Convention and (in Pegg’s case) Jethro Tull. The third member of the band, Alan 'Bugsy' Eastwood, wrote Rub It Down. Reggae was still perceived as a novelty in the UK in 1968, the year that Marmalade made the Number One spot with their cover of the Beatles’ cod-reggae Ob-La-Di, Ob-La-Da (making them the first Scots band to score a chart topper, fact fans). Millie Small had the first reggae/ska hit back in 1963 with My Boy Lollipop but apart from that it wasn’t until 1969 that Jamaican artists began to make any headway in the singles charts. That year Trojan Records – only established two years’ previously – scored with Jimmy Cliff's Wonderful World, Beautiful People, and Desmond Dekker & The Aces’ Israelites became the first bone fide reggae Number One. The Exception were as capable as many of the better known bands coming out Birmingham in the mid-60s however, unlike contemporaries such as The Spencer Davis Group, The Moody Blues and The Move, they never to make the shift into the big time…quite possibly because they couldn’t make up their mind which musical direction to follow. Lead guitarist Roger Hill and bassist Dave Pegg had been members of The Uglies and, after recording a couple of singles with that band, the pair teamed up with former Brumbeats singer/drummer Alan Eastwood (Hill had also been a member of the Brumbeats) first as The Hooties before changing their mane to the Exception. In 1966 the trio - hoping to emulate the success of Cream - signed with CBS. 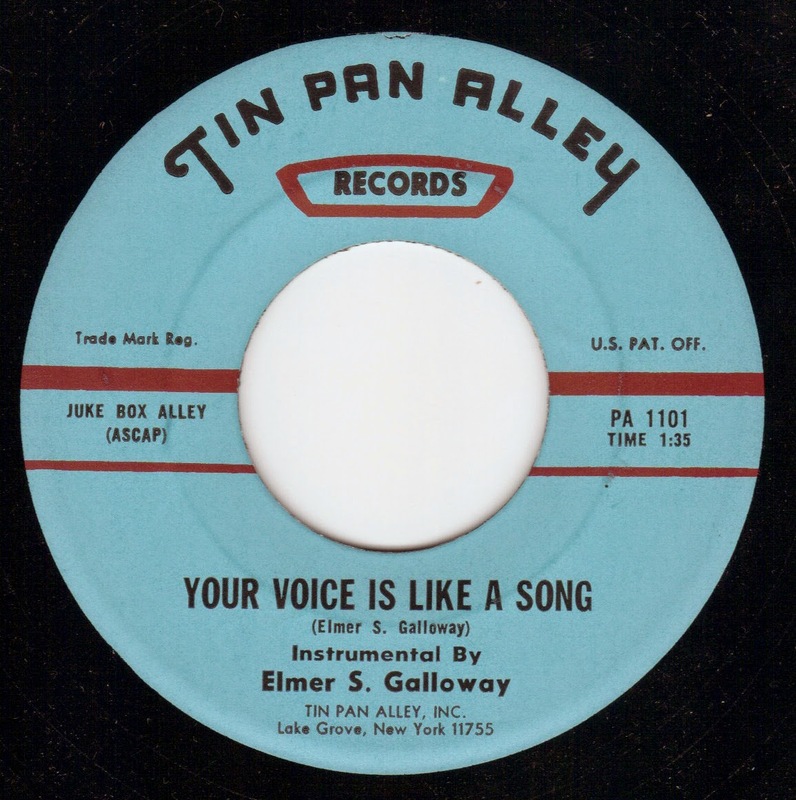 The company issued two singles: The Eagle Flies On Friday, which was credited to The Exceptions, and the tongue-twisting Gabardine Saturday Night Street Walker, which was backed by Pegg and Hill’s jazzy instrumental Sunday Night at the Prince Rupert. CBS dropped the band after the singles failed to chart and Pegg left, replaced by John Rowland who, fairly soon afterwards, was replaced himself by Malcolm Garner. The band moved to Ed Kassner’s President Records and issued Tailor Made Babe, a decent blues chugger with a great vocal from Eastwood and some nice guitar fills from Hill. Next came this nasty, fake-reggae travesty complete with its terrible Sylvester the cat impersonation; that was followed by the poppy Helicopter, which in turn was followed by the folky Pendulum. The Exception didn’t know what they wanted to be – or if they did their record company wouldn’t let them be what they wanted to be, trying everything – and every style – to try and give them a hit. Again the singles did nothing, but President Records had enough conviction in the band to finance an album - The Exceptional Exception. The cover of the album reveals a fourth member of the line-up, Steve Yetson, who is credited with vocals, sax and keyboards. 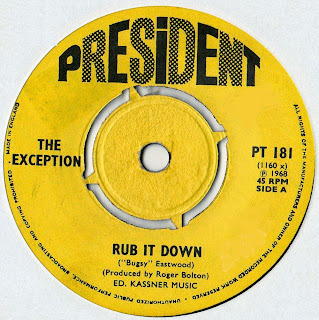 Mostly a compilation of the singles the band had cut for President (and conspicuously missing both sides of this particular release), the album sank like a stone. Alan "Bugsy" Eastwood left The Exception shortly after the album's release: Hill carried on, fronting a new line-up but by May 1969 it was all over. Roger Hill rejoined Pegg and became a member of Fairport Convention (he sadly passed away last year) and Eastwood (on the left in the group shot here) recorded a couple of solo efforts (including the album Seeds), though alcohol addiction sidetracked his career. He died of heart failure in October 2007. Here are both sides of the fourth Exception single: Rub It Down and It’s Snowing in the Desert. A real treat for you today: a brace of cuts from one of the most peculiar albums issued in that decade of peculiar albums, the 1960s. 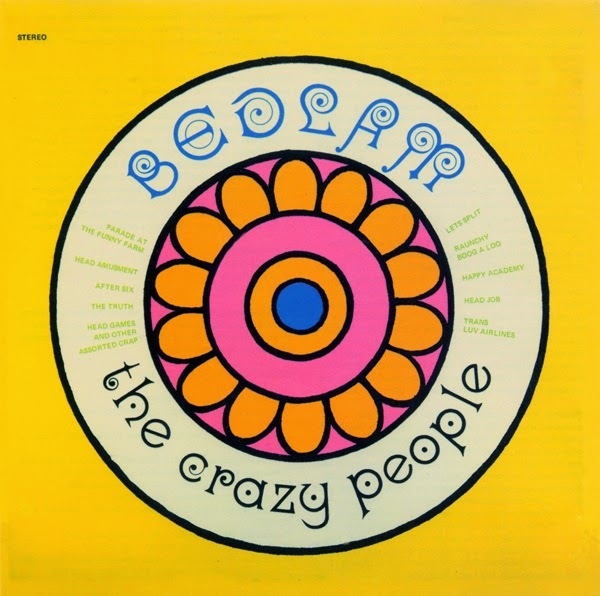 Feted by serious collectors of psychedelia and the avant garde, Bedlam by The Crazy People originally appeared on the small independent Canadian label Condor in 1968. What is known for certain about the band behind the record is very little but the theory upheld by many collectors and rare record bloggers is that the album was the brainchild of one Johnny Kitchen, an expatriate American who was believed to be in British Columbia around the time the album was recorded, and a group of studio musicians from the Burnaby, BC area. All of the performers were uncredited on the original album but a few song writing credits were given to Kitchen, a prolific writer who also wrote for other bands on the Condor label. Much of the Crazy People legend is a mystery, although it is believed that the album was an exploitation studio project rather being recorded by a ‘proper’ group – a theory backed up by the widespread sampling of other material (including the New Vaudevill Band’s Winchester Cathedral) . Kitchen had a hand in dozens of experimental underground records in America and Canada during the latter years of the 60s and in the same year that Bedlam was issued it is said that he relocated to LA where he was involved in the recording of An Evening with Wild Man Fischer, released on Frank Zappa's Bizarre label: sections of two Bedlam songs (Life at the Funny Farm and Let’s Split) feature in Larry’s song Life Brand New. This has led some people to speculate that Johnny Kitchen was simply a pseudonym for Larry Fischer. The whole Crazy People project - and the rumours that surround and confound its' release - becomes even more confusing when you discover that three of the songs on the album are credited Jack Millman – and that Millman has recently been outed as the ‘real’ Johnny Kitchen. Jack Maurice Millman began composing music in 1948. A professional jazz trumpeter, who studied trumpet with Shorty Rogers and, at the age of 17, played with the legendary Lionel Hampton. After spending many years at the coal face of music, and taking a couple of years out in the early 60s as he was burned out – he became known as Johnny Kitchen, thanks to fellow musician Billy Elder. “It was a joke, we were wise cracking and that’s the name he gave me. It didn’t mean anything, but the name stuck and I went city hall and registered it as a fictitious business name, and I used it to register with ASCAP, too.” Millman told Andrew Jervis, for the Ubiquity Records blog. Through Abe Sommer (Millman’s attorney who was also attorney to The Doors amongst others), he met Randy Wood – the former owner of the Vee Jay label - who asked Millman to produce a budget line of records. Millman pieced together 36 albums over the next decade for Wood’s labels. So now you know. It seems that Johnny Kitchen didn't live and work in British Columbia after all and that the entire Bedlam project was pieced together by Millman from his extensive library before being offered to Condor for release. Anyway, here, for your edification, are a couple of tracks from Bedlam: Head Games And Other Assorted Crap and the opener Parade at the Funny Farm – both of which intersperse the insanity with some instantly recognisable hits. Crazy, man!